Need to change my company info with active Amazon account? 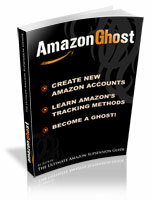 Hi, Can anyone with Amazon Ghost experiences to help me if I should change my Amazon company info? I have an active Amazon for almost 3 years and I have not do anything to it for about a year and it has funds in the account with a deleted bank account. I would like to change the account registered company to a new LLC since I sold my old company. The new LLC is registered under my name but a different address, however, I have a suspended Amazon with my real name. Is this do able? How can I transfer my funds out and use this Amazon account? Or should I just let it go? pm if you dont wanna share here. Re: Need to change my company info with active Amazon account? Just use the new LLC and register a new account and build it up. You are going to risk problems changing info on old account and if you do that and it's toast, then your new info is also toast. Don't take the risk and just start brand new. I am interested to know about this as well. When you shape a stealth account, how can you link a company to it? I mean you obviously can but then your name in the company would not match with the name on the account. Also for Tax purposes, it would complicate things. The consideration is that the new LLC is under my name. If I open a new account, I may still need to face verification process. How can I use this active account if possible? All business info has to be changed or I will get a 1099 under the old company by the end of year. Amazon will not allow transfer of ownership of accounts. If that's what they deem your proposal is then it could trigger re-verification and toast your new info. You can add different names under your company,As far as the verification the other names can be used when being creative. You can make your own stealth with your company info. Fill in the name field and all the details with your company information. You dont have to put a name on account.